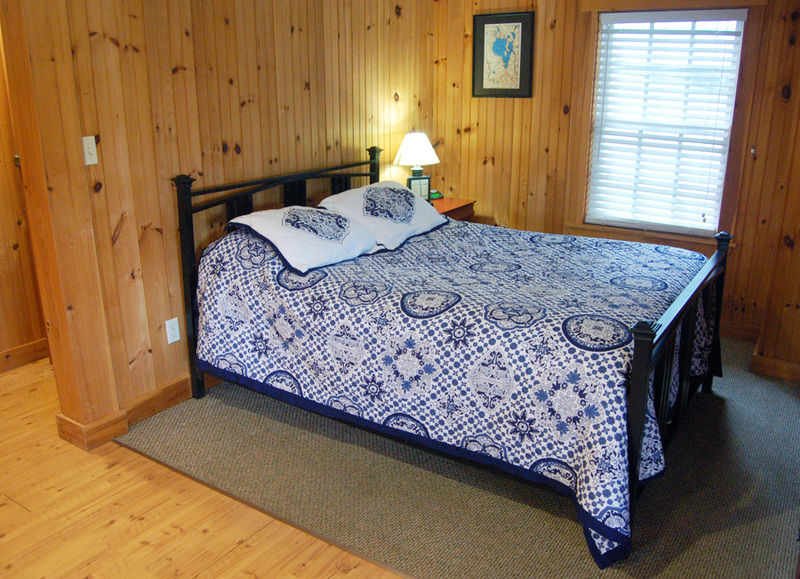 Newly remodeled, the “Fish Bowl” has a queen-sized bed and a futon. 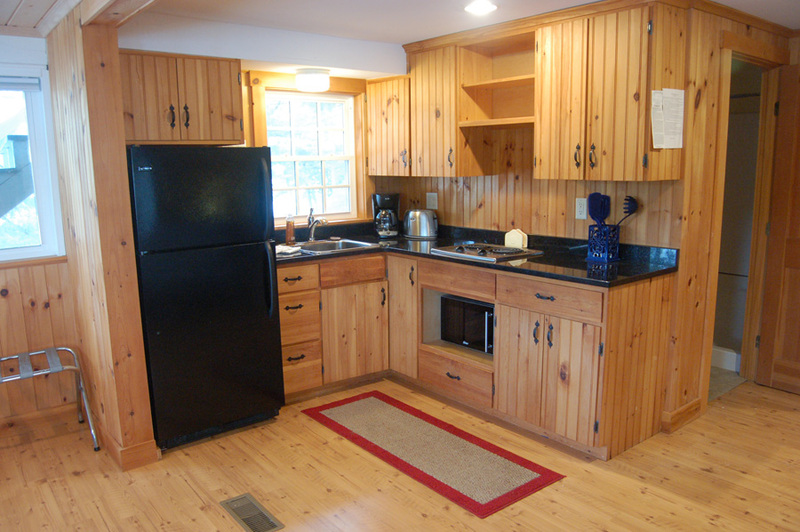 The room has a microwave, a stove top and a full-sized refrigerator and sink. 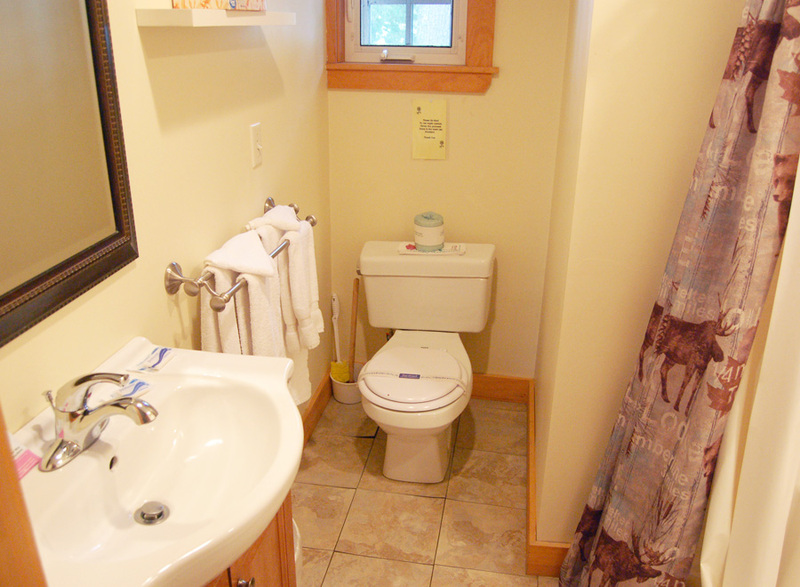 Enjoy this beautifully renovated unit, all done in pine. 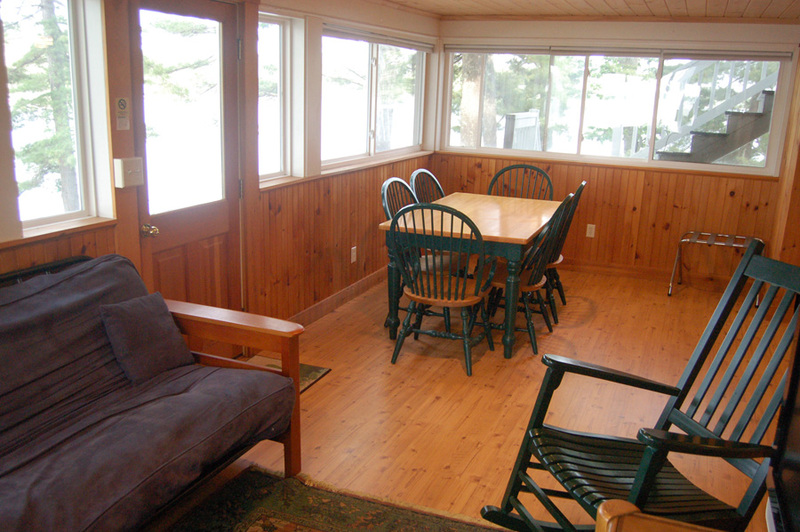 The room also includes a glassed-in porch that overlooks the lake.